Straw bags are everywhere and they've been popping up this time of year for years! Straw bags are one of the most timeless accessories for spring and summer and SO versatile--they literally go with everything! But this year, it's not just about the bag! 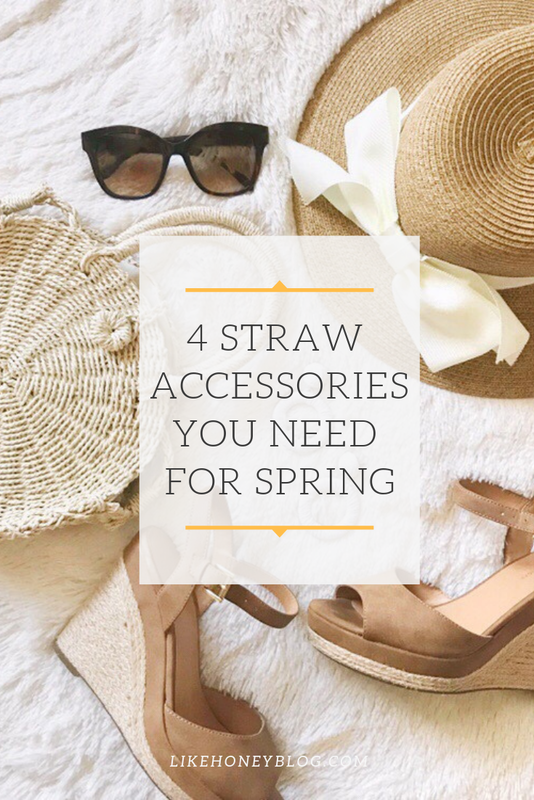 While I've gathered a few gorgeous and affordable basket bags for you to tote, I've also rounded up 3 other straw accessories your closet needs for spring and summer! Trust me, you'll wear them with everything. Straw hats have been around for hundreds of years, of course, but I love how trendy hats have become in general! I recently added this beauty to my collection and while I know it was a little pricey, the vintage charm and timeless trend justified my need. I also picked up these lightweight straw-thread earrings a while back for our upcoming vacation and have already worn them a few times! The white goes with everything and it really feels like you're wearing nothing! Of course, straw/jute shoes aren't really a new thing either. Espadrilles always pop back in stores this time of year, but I don't always see them in styles I love. 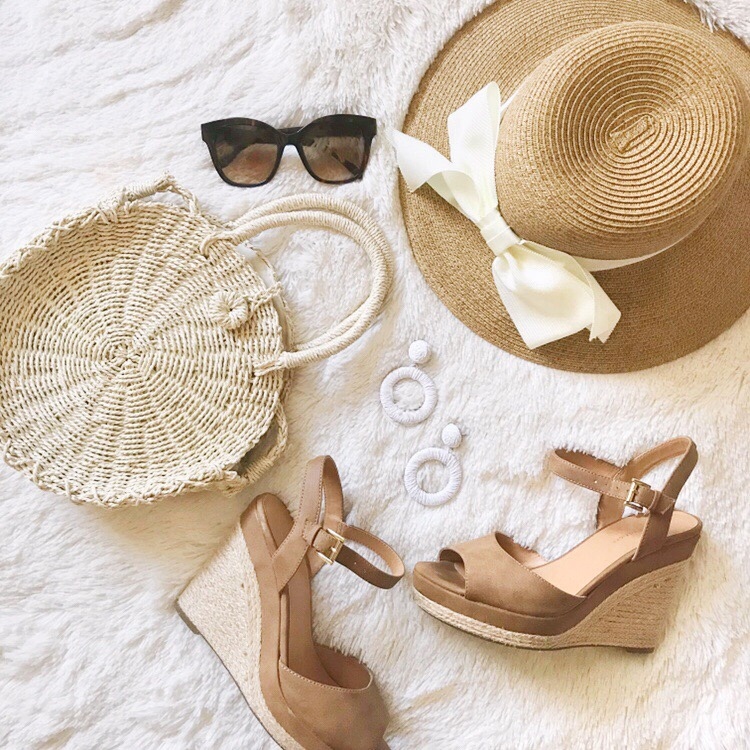 Thankfully, I found several this year that look similar to my jute wrapped wedges I still love! Wicker, rattan, straw--whatever you call it, it's definitely here to stay! I just love the texture it gives to a breezy summer outfit, while being neutral in color and not too heavy! It really adds a little something to a basic sundress! Which of these straw styles is your favorite trend to try? Do you have a timeless accessory you don't see going out of style any time soon?